Yo. The word from the Pimp Masters in Chennai is official. 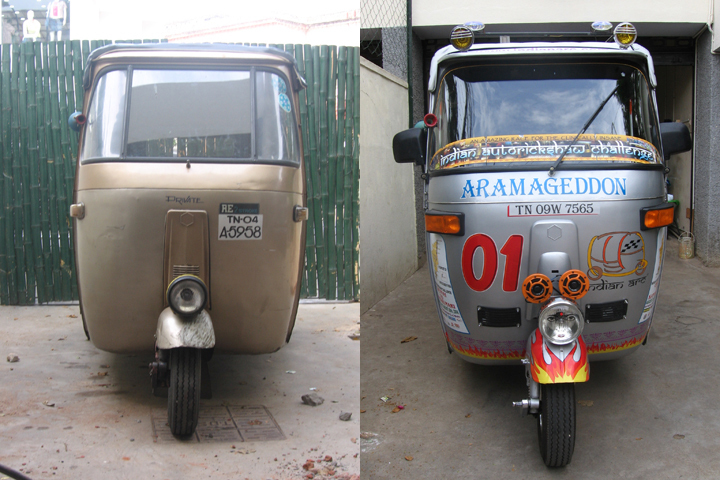 The rickshaws are ready for your pimpin’ pleasure. 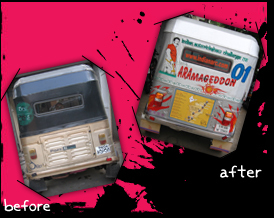 Every one’s seen pictures of fabulous rickshaws from past challenges, and if you’re the kind of competitor that requires a certain level of Bling to make it back to the driver’s seat each morning, consider breakfast served. 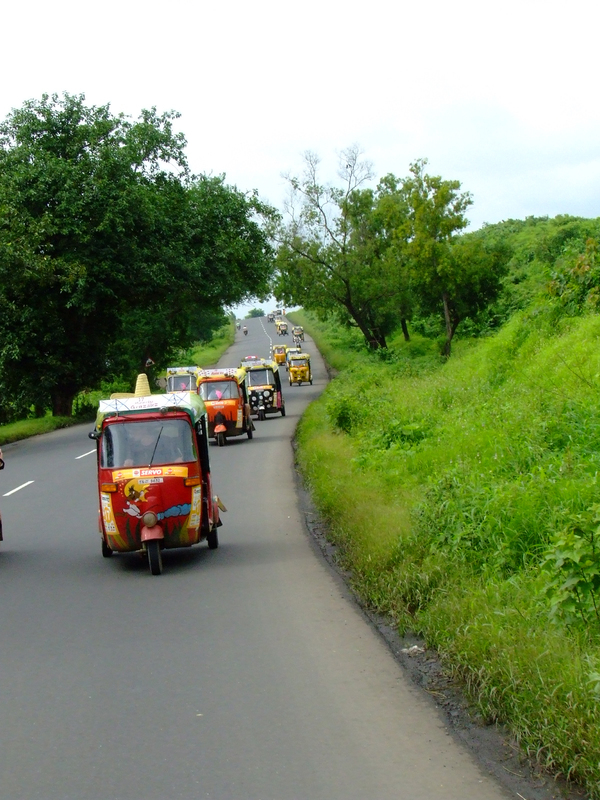 Action and quick reflexes will be useful on the route, but they’re critical now: the Deadline for submitting all pimpin’ requests is 30 days before the start of your Rickshaw Adventure. New Tires & Horn, suitable for waking the dead. Back Spoiler comes with driver’s Hand Grip Set. 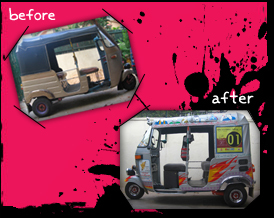 Custom paint in any design, any range of colors -including metallics. Custom upholstery. You dream it. We install it. DVD/MP3 full entertainment suite for the weary passenger. Over 4 flavors of sound system, booty bass included. 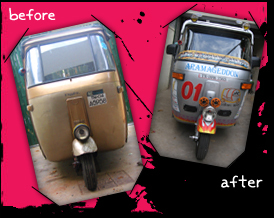 Sponsor stickers are added to all participating rickshaws. You can peep the visual. Getting hot? Scroll up to check the price list, application form and all that fa-shizzle.